The following BBQ tips for Chicken will really help you select specific cuts of chicken, what to look for and avoid, and some general tips to prepare the chicken (each BBQ Chicken recipe will contain very specific tips if necessary). 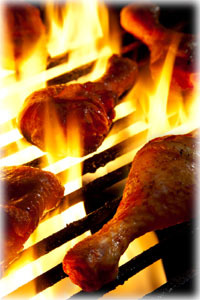 Most importantly though are some valuable tips for grilling chicken. While it's nearly the most popular grilling meat (next to grilling Pork) - it's also the easiest to take from Great to, well, not so great in no time flat. Let the cooked meat "rest" for 5 minutes covered with foil before serving. 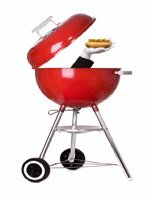 Grilling times below are only guidelines and should not replace the use of a meat thermometer.